Myofascial Release is a safe and very effective hands-on technique that involves applying gentle sustained pressure to the Myofascial connective tissue restrictions. This technique helps to eliminate pain and restore motion. Trauma, inflammatory responses, and surgical procedures create Myofascial restrictions that can produce tensile pressures on pain sensitive structures. Myofascial Release allows us to look at each client as a unique individual. Students studying the myofascial dry needling course in Melbourne at MIMT will learn a multitude of Myofascial Release techniques. MFR II, the second class in the Direct Release Myofascial Technique series, will enable participants to respond more precisely and efficiently to soft tissue restrictions throughout the thoracic and lumbar regions with an emphasis on addressing the deeper layers. In addition to these myofascial techniques there will be detailed assessment and correction of facet joint fixations and sacral torsions. Contact us on 1300 839 839 to begin a myofascial dry needling course in Melbourne. 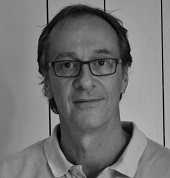 A legend in the field of Myofascial Release, Michael has been a part of MIMT since 1999. Michael takes all our Myofascial technique classes enabling students to respond more precisely and efficiently to soft tissue restrictions throughout the entire body.